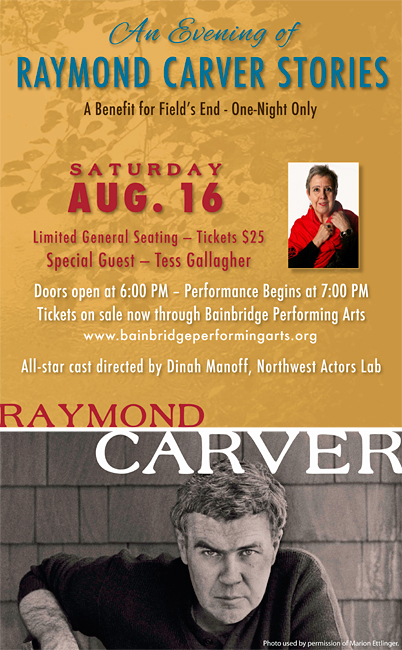 On Saturday, August 16th, an all-star cast of local actors will bring six Raymond Carver stories to life at Bainbridge Performing Arts. Directed by Dinah Manoff of the Northwest Actors Lab, the performance will be a benefit for Fields End. 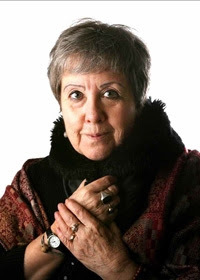 Carver’s widow, renowned poet and prose writer Tess Gallagher, will be a special guest for the evening. Doors will open at 6pm; show starts at 7. 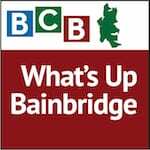 In this interview with BCB host Barbara Golden, Dinah Manoff talks about the importance of Raymond Carver to the artistic world and to the Pacific Northwest. Born in Yakima, Washington, Carver made his mark writing about colorful characters who often inhabited dark places. A colorful character himself— an alcoholic who married his first wife when she was sixteen and only found sobriety after partnering with poet Tess Gallagher 12 years before his death — Carver is credited with almost singlehandedly resurrecting the short story as an art form. 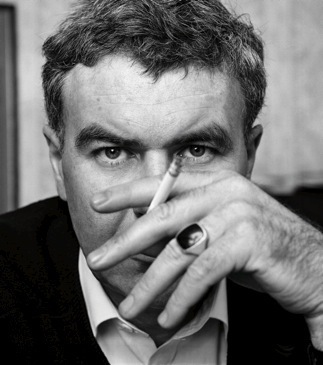 Whether you are already familiar with the short stories of Raymond Carver, or are new to his work, this event promises to be every bit as entertaining as the writer was in his day. Go to www.bainbridgeperformingarts.org for tickets. See www.fieldsend.org for more information about the event. Credits: BCB host: Barbara Golden; BCB studio tech and audio editor: Lyssa Danehy deHart; What’s Up music splash: Tim Bird; ferry music: Dogfish Bay Studios; podcast art: artopia creative.